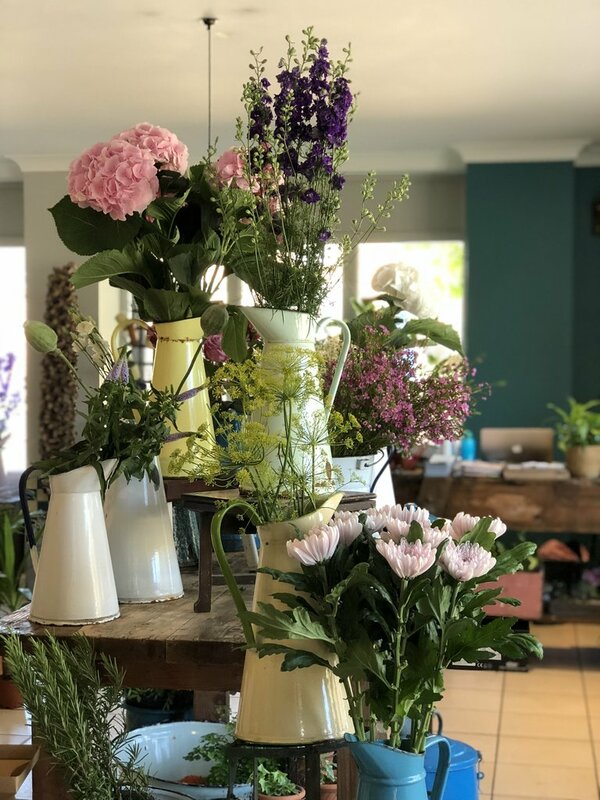 In Summer 2018, a bright and bubbly florist caught my eye who was on the cusp on launching her unique floristry boutique in Poundbury, Dorset. 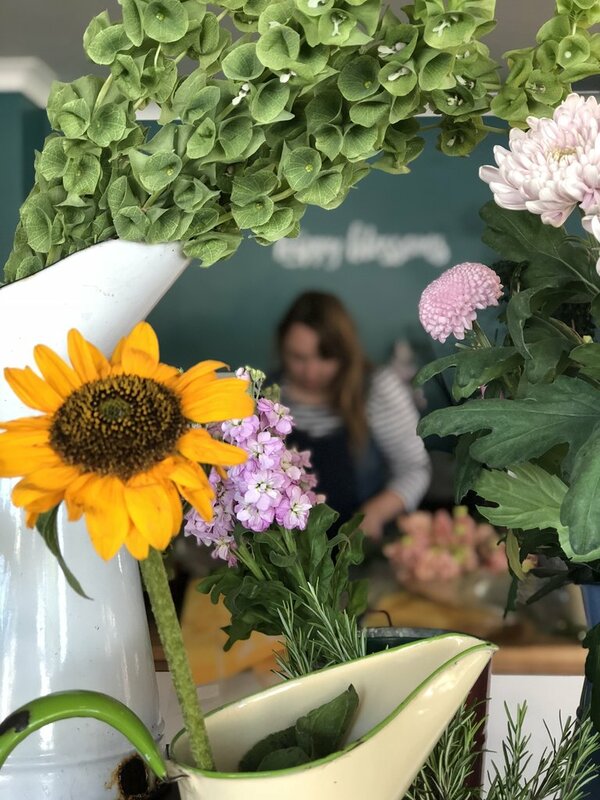 I was instantly impressed with the passion and precision with which Lauren Hooper set about opening the doors to her new floristry business, at a time when so many new florists are working in a studio set-up. The shop floor has provided a brilliant platform for Lauren to host workshops and events, it’s given her public visibility and she’s even hosted a Royal visit. I asked Lauren about the journey leading up to her living her floral dream. Has it all been roses and Royalty? Describe The Happy Blossoms. What’s it all about? The Happy Blossoms is a family business, co-owned by myself and my lovely Mum, Barbara. We stock only the very best flowers from around the world, mostly from Holland, the UK and Columbia. We specialise in beautifully rustic florals that are inspired by the countryside, always creating our designs with seasonality in mind. I really love to stock the shop with flowers that you would never have seen before, from proteas to pineapples, we have it all! We are a very environmentally-aware shop, all of our packaging is environmentally friendly and can either be recycled or composted. 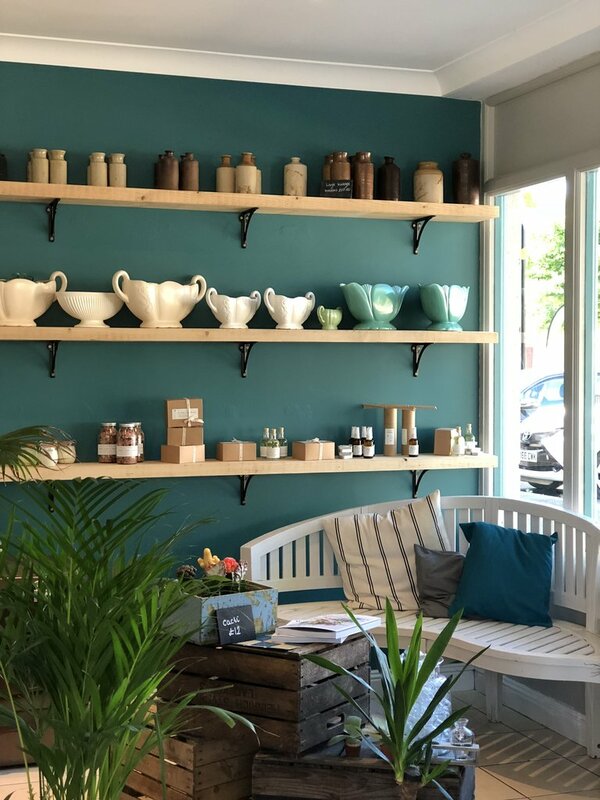 When did you first decide you were going to launch your own independent and unique floristry business, and was the shop always part of that dream? Yes, absolutely! Whilst training in floristry I was very fortunate to take part in The Princes Trust Enterprise Scheme and this really helped me to turn my dreams into a reality through lots and lots of planning; writing a business plan is an absolute must and helps to show you the big picture and whether it is a feasible plan. What are your credentials? What’s your career path that brought you to the point where The Happy Blossoms idea was conceived? 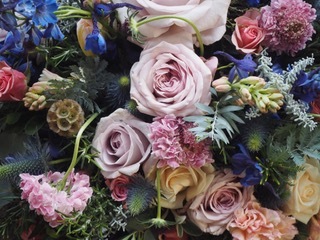 I am a professionally qualified florist, trained at the very wonderful Kingston Maurward College in Dorchester which is just a stones throw from my shop in Poundbury. 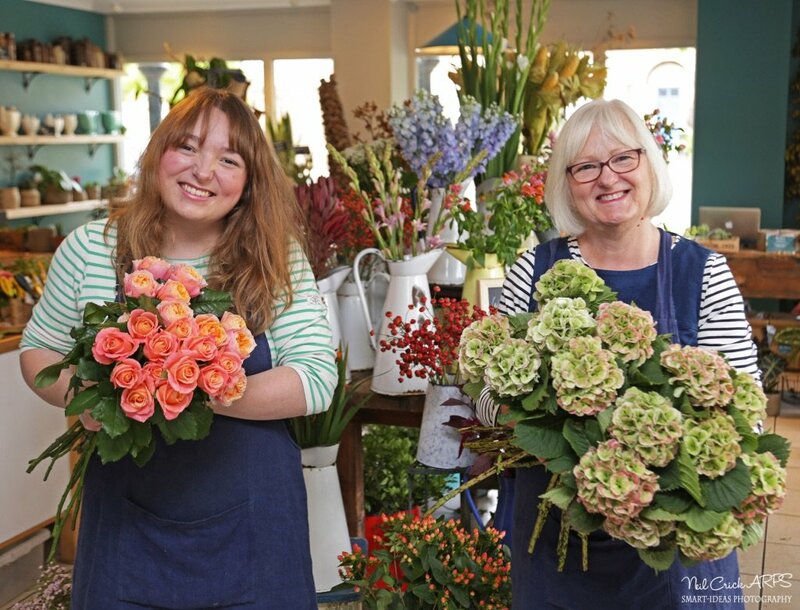 I worked in a few florist shops in Dorset before opening The Happy Blossoms which developed my knowledge, confidence and skills before taking the plunge! I interpret your brand as creative, environmentally-aware, natural, nurturing, and a bit jolly. Am I on the right lines? Tell me about the brand identity process. You have summed up The Happy Blossoms perfectly! We are a very happy team that are exceptionally creative and passionate about what we do. Our Graphic Designer Wesley at the design agency openday (www.openday.studio) knows us very well and therefore encapsulated our personalities into The Happy Blossoms branding which is why I think it reflects us so perfectly. I strongly believe in the #communityovercompetition philosophy of business. Why do you think it is such a talking point amongst female entrepreneurs? I think that opening your own business can be very intimidating and everyone needs someone cheering you on. I love that Instagram in particular is full of wonderful people that are supporting you 100% even if you haven’t met them in person yet. There is nothing that I love more than attending a floristry event where you meet people who you follow on Instagram and share stories of how gorgeous their work is. What’s the big dream for The Happy Blossoms? This is a very good question, we have big dreams for The Happy Blossoms! We have just started selling our bouquets nationwide online at thehappyblossoms.com and we have lots of wedding bookings for 2019. So, at the moment we have our hands firmly full. But we shall see what the future brings – one thing I am sure of, is that we will keep reaching for big things!